How much disk space does my dvr need? Use our Free CCTV Hard Drive Calculator! What is the IP Rating for Weatherproof Security Cameras? With all the different letters and numbers Security Surveillance Camera terminology can be confusing at first glance. One area that is often confused has to do with the IP Rating and IP Network Camera. The IP in IP Network Camera stands for Internet Protocol. A network or IP (Internet protocol) camera, is a form of digitally enhanced video camera that is generally employed for security surveillance. An IP Network Camera varies considerably from its close counterpart the analog version, CCTV (closed circuit television) cameras. An IP Network Camera can receive and send visual footage (and all related data) via a computer network and or over the the Internet. Weatherproof Security Cameras also have an IP Rating that is associated with their ability to withstand the rigors of any particular environment. An IP (Ingress Protection) ratings for any type of electronic device that runs off of electric or battery power is clearly defined by international standards specifically stated in by UL & EN 60529 (British BS EN 60529:1992, European IEC 60509:1989) codes. To not overly confuse you it basically defines the levels of sealing and effectiveness that any particular electronic enclosures has against intrusion from any type of foreign bodies (particles, dust, dirt, etc) and especially moisture. Essentially an IP rating will determine how well your Weatherproof Security Cameras will stand against the elements. For Weatherproof Security Cameras an IP65 Enclosure is rated as sealed against dust tightly and protected against liquids and water that are projected by a pressure nozzle. 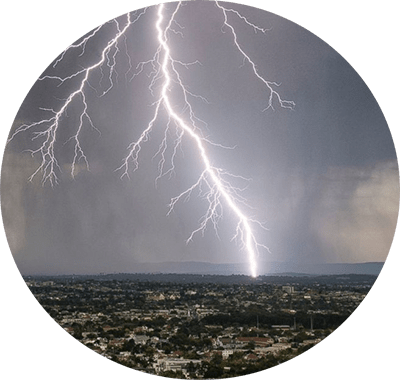 Weatherproof Security Cameras for IP66 Enclosures – IP (Ingress Protection) rated as being extremely dust tight and protected against heavy seas and powerful jets of water. Weatherproof Security Cameras for IP 67 Enclosures are IP (Ingress Protection) rated as completely sealed and dust tight and guarded against being immersed in water to certain levels. Security Camera King has the largest variety of Weatherproof Security Cameras which are compatible with the leading DVR & NVR manufacturers. Not only does Security Camera King support the leading brands of security surveillance products but they manufacture their own brand. 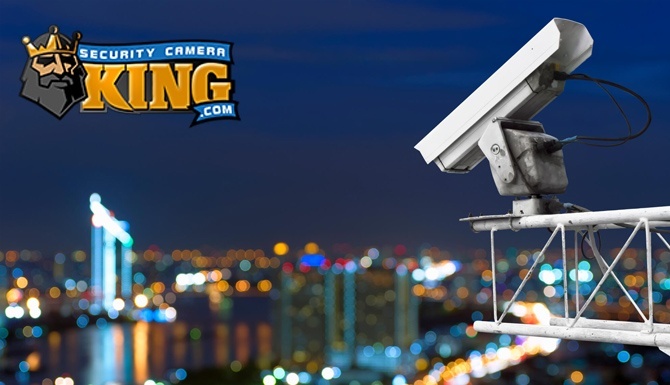 Security Camera King is one of the few US based Security Surveillance providers to offer US Based Technical Support. In addition to that all of their DVRs (Digital Video Recorder) and NVRs (Network Video Recorder) come with free remote viewing Apps. We also offer free shipping on orders over $100. To find out more about Weatherproof Security Cameras or IP Network Security Cameras call or click here.